1. 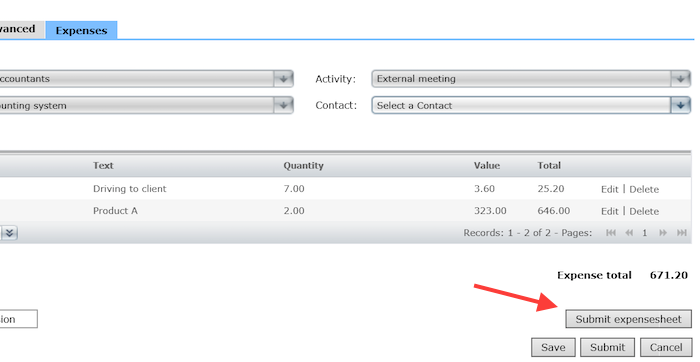 Go to the detailed view of your time entry in WebAdmin, and then click on the Expenses tab on your time entry. 2. 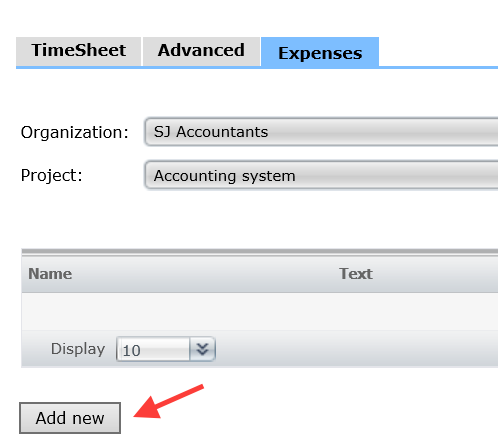 Click on the ‘Add new’ button to add new expense lines. 3. Add the expense line that you want, and then click Save. 4. When you’ve added the expenses that you want, click on ‘Save’. 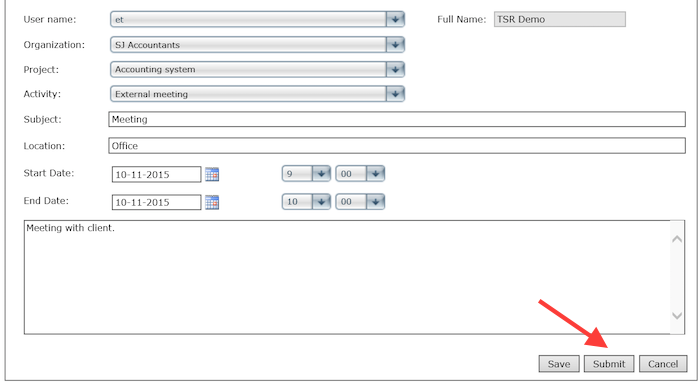 You can submit your expense sheet from your TSR time entry in WebAdmin, by going to the expense part of the time entry (see above), and then click ‘Submit expensesheet’. You can also submit it with the time entry via the overview of listed time entries as well as via the matrix view.